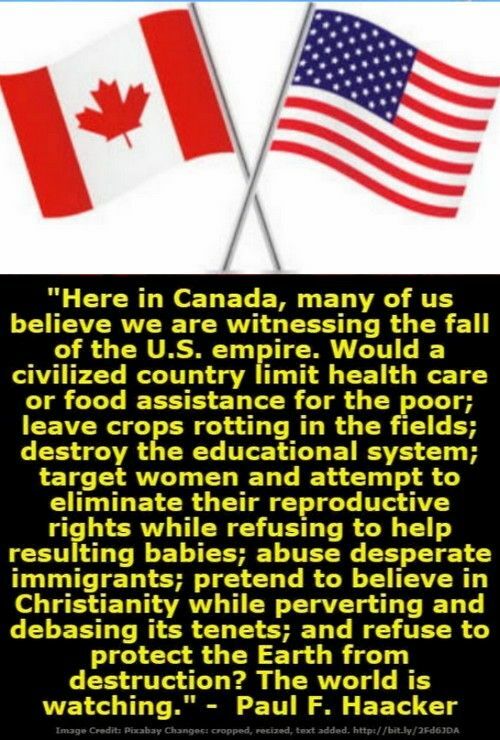 This entry was posted in Hunger & Poverty, News & Views, Quotes and tagged abuse, babies, Canada, Christianity, civilized country, crops, education, enviromental destrustion, hatred, health care, Immigration, nation, Paul F. Haacker, pretending, racism, reproductive rights, U.S. Empire on June 23, 2018 by Ray Buchanan. The only time Trump isn’t lying is when his mouth is shut. Yet the Republicans in Congress still blindly support and protect him. They are complicit in his crimes and deserve the same punishment he will receive. 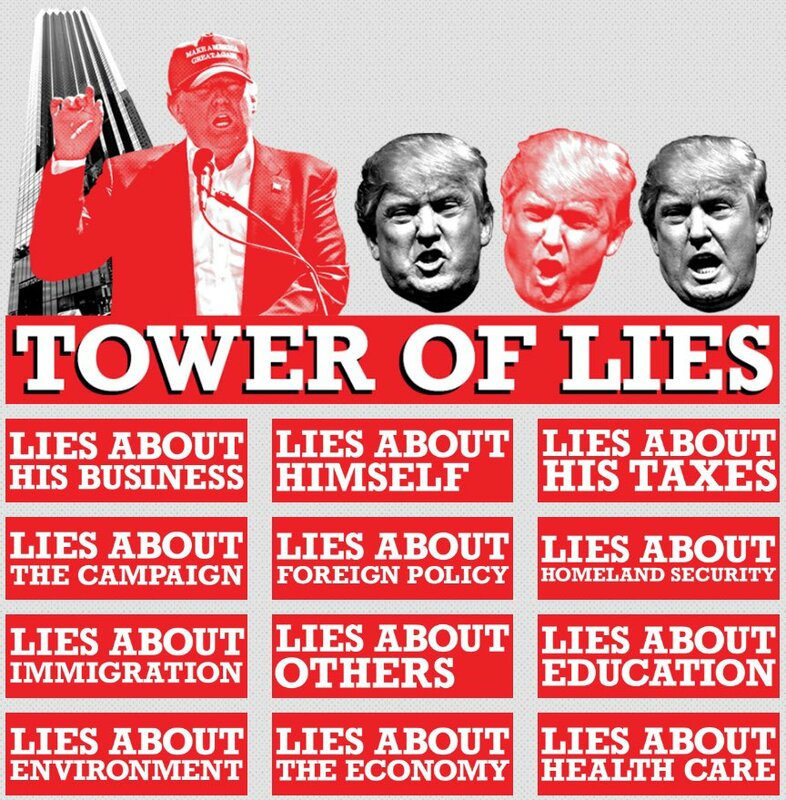 This entry was posted in Facts & Statistics, News & Views and tagged BLOTUS, business, campaign, complicity, Congress, economy, education, eniviroment, foreign policy, health care, Immigration, Liar-In-Chief, lies, punishment, Republicans, taxes on March 24, 2018 by Ray Buchanan. 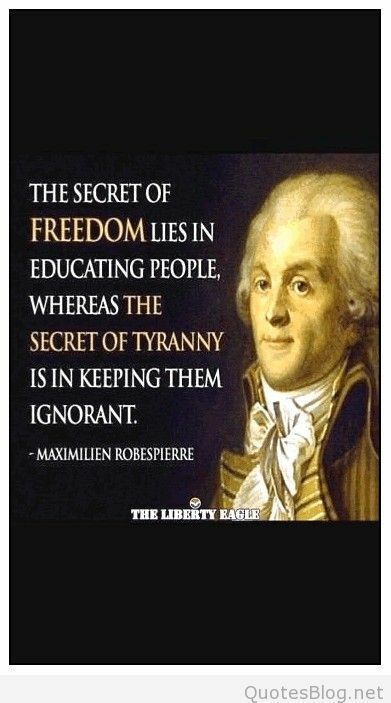 This entry was posted in News & Views, Quotes and tagged democracy, education, foundation, free press, freedom, ignorance, Maximilien Robespierre, quote, secret, the Liberty Egale, truth, tyranny on November 30, 2017 by Ray Buchanan. We all have already heard how this tax bill for the middle class would put at least a billion dollars into Trump’s family coffers while increasing taxes on the rest of us and cutting needed services. 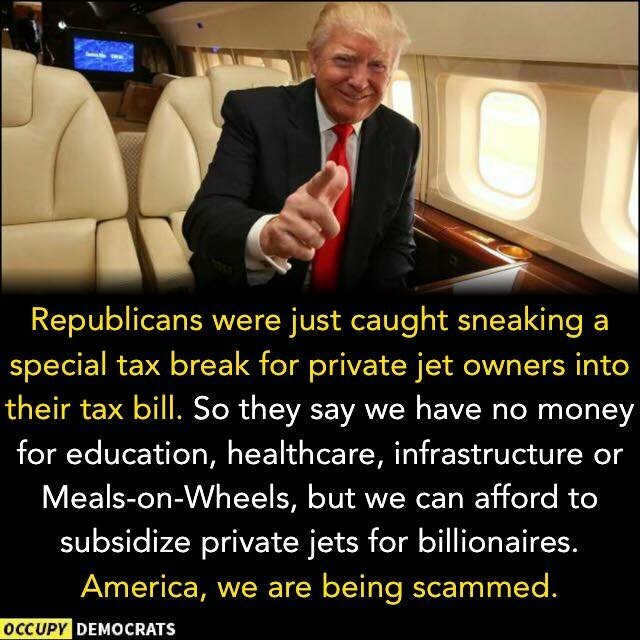 Now they also want to help the ultra wealthy with a tax break on their private jets. This is how revolutions are spawned. I am just totally surprised that there has not been more outrage demonstrated at the perpatrators of this grasp for more wealth and power. This entry was posted in Facts & Statistics, Hunger & Poverty, News & Views and tagged billionaires, BLOTUS, education, healthcare, infrsructure, Meals-on-Wheels, perpatrators, power, private jets, Republicans, revolutions, services, tax bill, tax breaks, Trump's family, ultr wealthy on November 21, 2017 by Ray Buchanan. This entry was posted in Facts & Statistics, Hunger & Poverty, News & Views and tagged #DayOfTheGirl, change, children, education, empower, girls, hope, hunger, poverty, UNICEF on October 11, 2017 by Ray Buchanan. 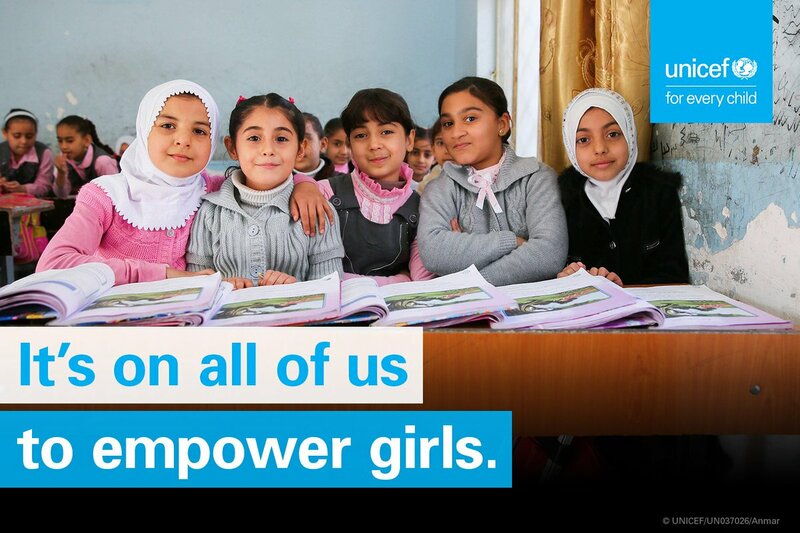 Educating girls and young women changes their lives. But, we also know that it changes their communities and their entire nations. Educating girls has a powerful and lasting impact on ending the cycle of poverty and hunger. 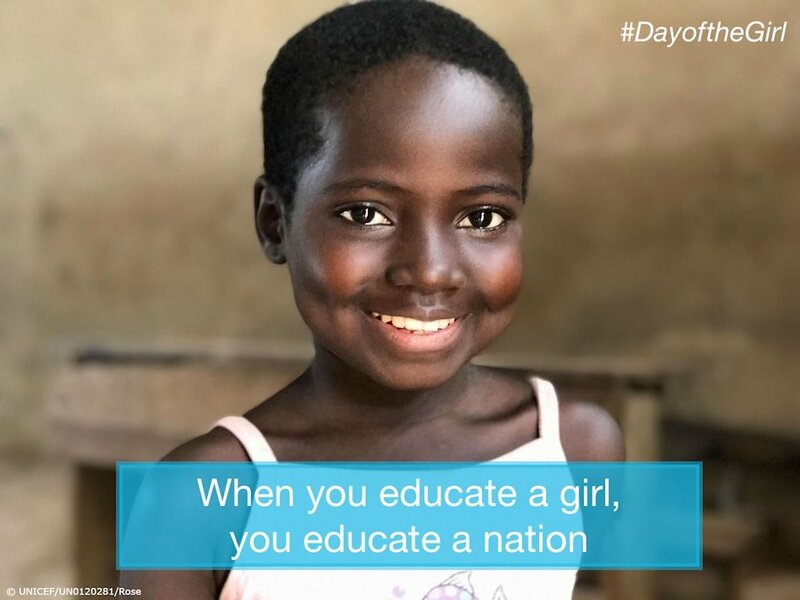 This entry was posted in Facts & Statistics, Hunger & Poverty, News & Views and tagged #DayOfTheGirl, communities, education, girls, hunger, impact, nation, poverty, the girl effect on October 11, 2017 by Ray Buchanan. I recently allowed myself the pleasure of rereading Orwell’s 1984. I am so glad I did since we are now seeing it unfold right before us. We are actually entering into the virtual reality of living in the 1984 world. 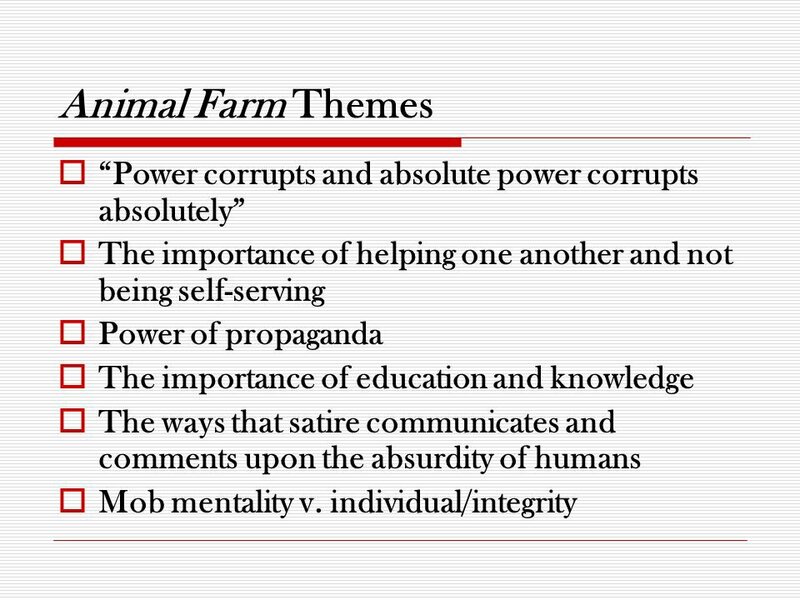 Animal Farm is next on my reread list. Like 1984, I know I will enjoy the book again. And also like 1984, I know I am going to see lessons that are reflected in the world in which we now find ourselves. I want to reread some of these classics while I still have the freedom to do so. The way things are going that might not be possible in the near future. BLOTUS has been in office less than a full week, and the fourth estate is already “the opposition” and “the enemy.” First silence the press. Then silence free speech. Lie, lie, lie and keep on repeating the lies until even the absurd begins to sound reasonable. And in the end, do whatever is necessary to eliminate dissent. This entry was posted in Hunger & Poverty, News & Views and tagged 1984, absurdity, Animal Farm, BLOTUS, community, corruption, dissent, education, enemy, fourth estate, free speech, intergity, knowledge, lie, mob mentality, morality, opposition, power, press, propaganda, reading, satire, self-serving, values on January 28, 2017 by Ray Buchanan. Intolerance is a sign of inadequacy, and not just of education. Intolerance is also a sign of a shallow and superficial spirituality. We also need to be keenly aware that intolerance comes from a foundation of fear and demonstrates a private sense of inadequacy that is masked behind the arrogance. Intolerance is not a characteristic of a good leader. This is something that bears watching in our country’s new leaders. This entry was posted in News & Views, Quotes and tagged Aleksandr Solzhenitsyn, arrogance, education, humility, impatience, inadequacy, intolerance, quote, shallow, sign, spirituality, superficial, universal law on January 9, 2017 by Ray Buchanan.